When customers want to view the product detail page, they have to click on the product and wait for a while to see it. So, if they want to view a product, they have to open more tabs and take more time to know more details about that product. That’s why Mageplaza Quick View module is released. 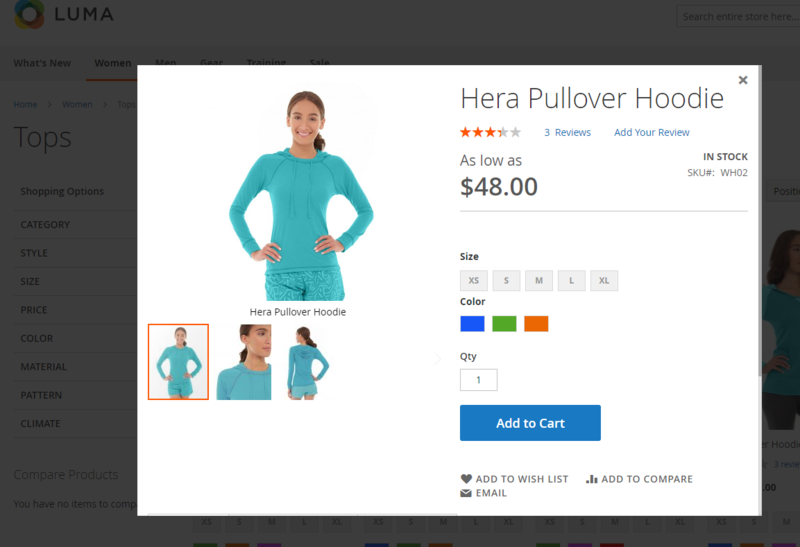 It helps you save more time surfing the web, see more details and increase sales for your store. Customers don’t need to visit the Product Detail page to view product details, just click on the icon or label on the image, then they can view full product information through the popup displayed on the screen. 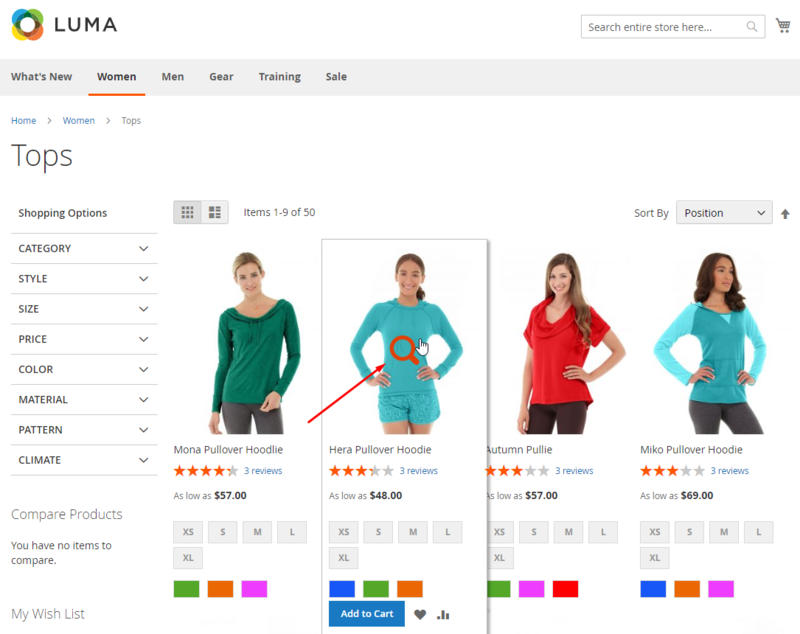 This allows customers to view multiple products without spending a lot of time. 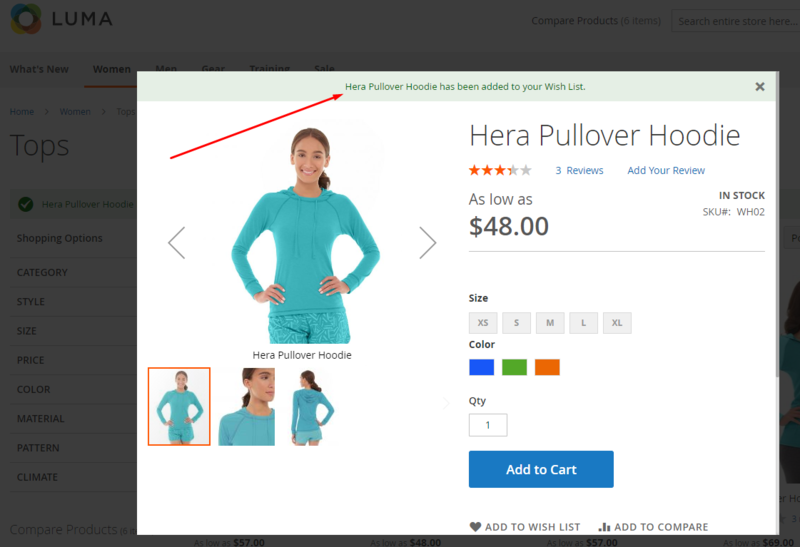 Not only that, when customers add products to the cart, the popup about product details information is also displayed and that product will automatically fly into the cart quickly. Enable: Choose “Yes’ to use the feature of this module. Choose the page to display the popup of Quick View. 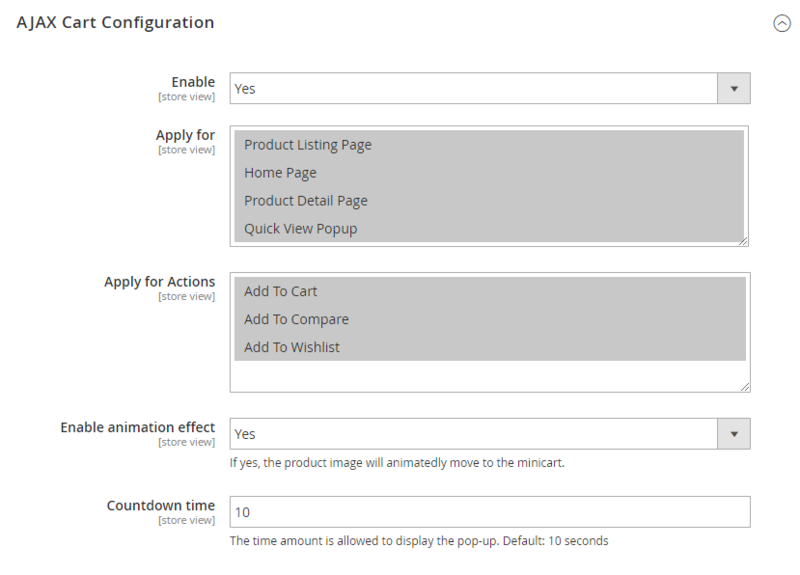 For example: Select Apply for = Home Page, then when customers click on the icon or label on the products on homepage, it will display the popup of Quick View only. On the other pages, it will not display. 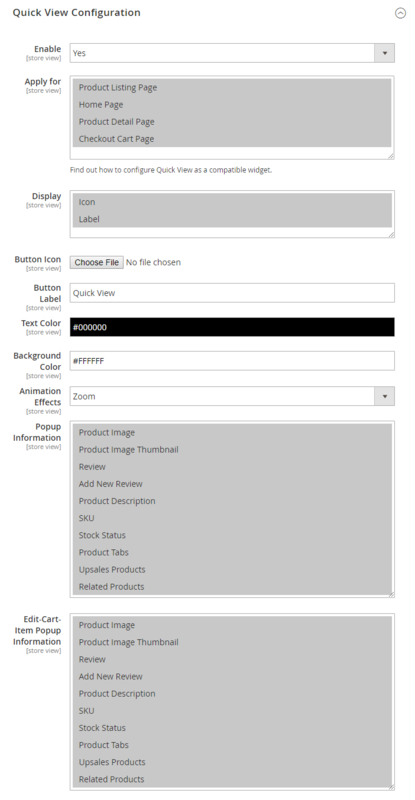 Button Icon: You can use the default icons or upload the icons. This icon will display on the product’s image. 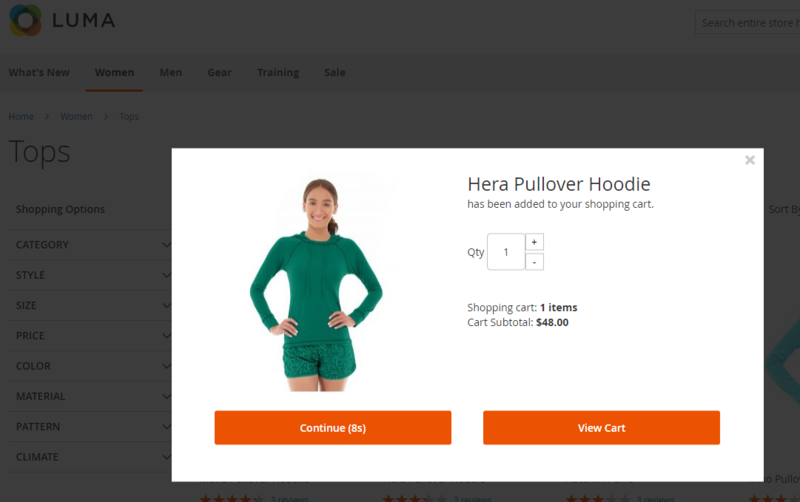 Choose the display page the popup of Ajax Cart. 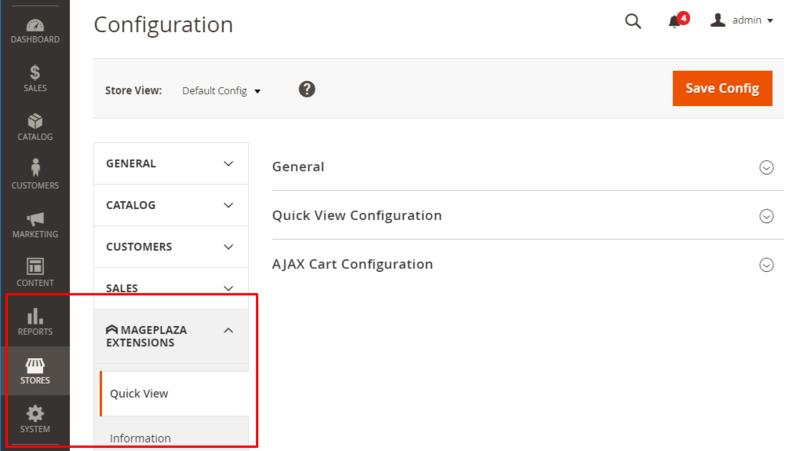 For example: Choose Apply for = Home Page, when customers click on the icon or the label or click on Add To Cart button on the product on homepage, the popup of Ajax Cart will be displayed. On other pages, the popup will not be displayed. then add it into anywhere you want to display Quick View Popup. You can add it on one page or one block by going to Content > Page. Also, you can insert it into .phtml, .xml files of Magento as well as other extensions that you want to display the popup.